Muttaburra is an outback township. 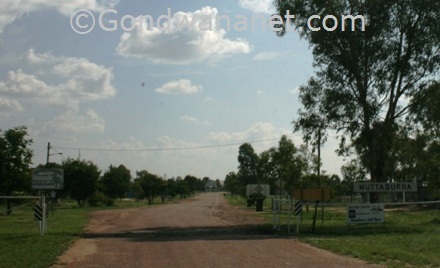 It is a small town north of Barcaldine and Longreach in outback Queensland. 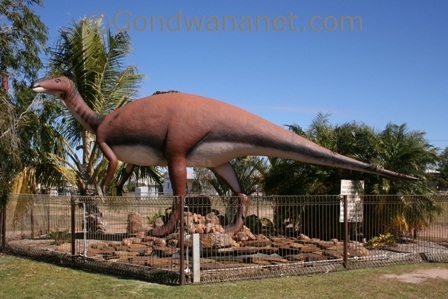 It's a quiet town with nothing much for travellers, except the statue of Muttaburrasaurus, a dinosaur whose fossils have been found in the area. 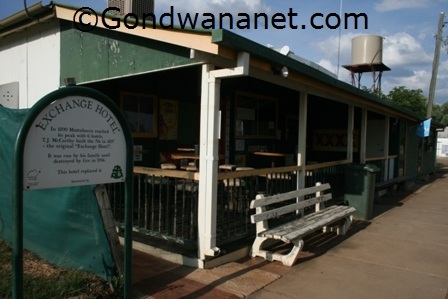 There is also an outback pub, as well as a basic grocery shop and a camping ground.